It is important to be wary of the dangers in attempting to tackle the problem yourself as uninformed decisions on how to remove soiling can result in a permanent ‘locking-in’ of the stain. 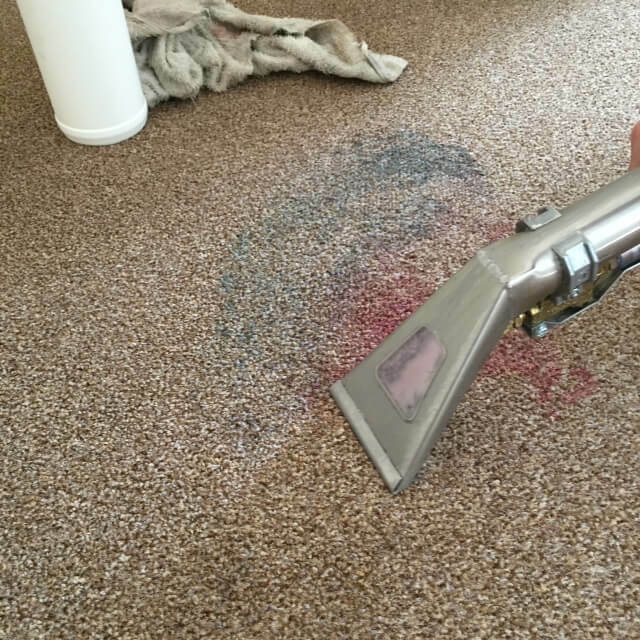 If you call Doctor Carpet we will discuss the stain removal with you and, in the event that a consultation can be arranged to physically inspect it, we will be able to confirm how likely it would be that the mark could be eradicated before any expense is incurred to yourself. Sadly, it is not always possible to remove a stain. There are many reasons for this, depending on a variety of factors, and Doctor Carpet will be able to explain why if such a situation arises. However, in the rare event that we are unable to completely do away with a mark, we will more than likely be able to assist in dramatically reducing it. Make sure you call us as quickly as you can after a stain occurs, as the length of time that lapses afterwards could affect the likelihood of the stain being removed. Alternatively, if you would like to attempt to deal with a stain yourself, please consult the ‘Carpet Care’ section for our professional advice and tips.